[INQ. NO. 1510M13] HDC has been providing quality auto parts for 30 years while manufacturing dependable components to ensure clients’ driving comfort. HDC’s main products include condensers, radiator, evaporators, heater core and oil-coolers for auto air-condition system. It is its goal to have its signature products available internationally. HDC has accumulated know-how for high quality and competitively priced components. So, its products are competitive in the international markets. For auto vehicles, HDC’s condenser is located at the front part of engine room with radiator side-by-side. It is designed to change the high temperature and high pressure of gaseous stage of refrigerant, which is delivered from compressor on the air-con system, into a liquid state. 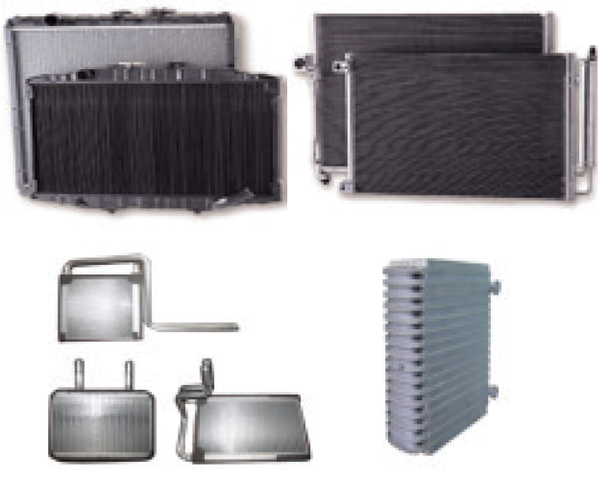 HDC’s radiator lets hot water, which is circulated in the inside of the engines of the automotives and generators, pass through its internal so that it helps the temperature of warm water, which is circulated by wind from external to be lowered.